Having spent the previous week down in Tathra on the MTB camp for school, I was looking forward to getting back down and doing some more rides on the sweet single track down there. We left home at about 8 in the morning, and hit the road. Our Cockatiel Kudu regularly travels with us, and now has his own backpack so he can hang out with us even more. 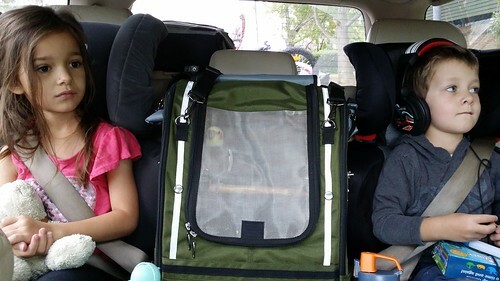 It fit perfectly in the back of the car between the kids on the centre arm rest, and just loved being in between the kids. Kudu was forever trying to get Ella’s attention! We stayed at the Wambiri camp site, which is run by the Anglican diocese of Bega. This was a great location, with only a short walk to town, and only a few other families and some nomads camping there. We were on a powered site, and the grass was lush and green! The next few days were spent hanging out and relaxing. We went down to the skate park in town most days, and did a couple of family rides to the bike skills park. Unfortunately Lucas wasn’t in the best of health for a couple of days, so we never got to get in the riding that we had hoped. That will have to wait for next time! 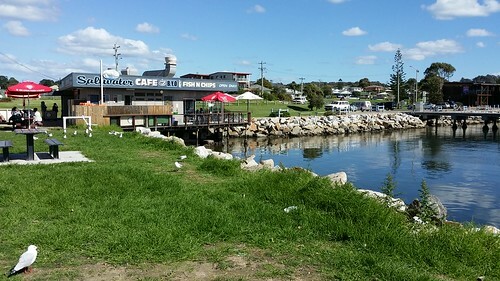 A day trip to Bermagui for some fish and chips! 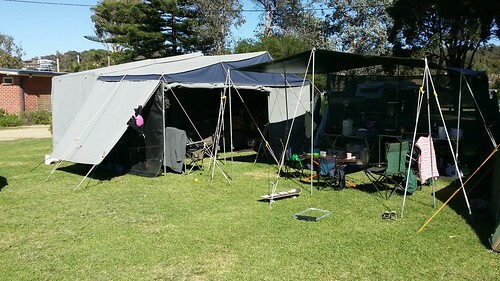 On our day trip over to Bermagui we did a bit of a look around at some other camp sites in the nearby national park too. Gillards Beach looks fantastic. Hopefully we’ll make a trip here at some point in the future. All too soon our 4 nights here had come to an end, and it was time to move onto our next location. We’ll be back.